Born, October 5, 1912, Una Broussard Evans is the daughter of Aliface Joseph Broussard and Maggie Henry who were married, December 31, 1910 in Henry, Louisiana. Raised in a traditional Acadian family, she promoted the finest traditions of church, family and community throughout her life. She graduated from Abbeville High School and furthered her education by obtaining a degree in education from SLI in 1942. She taught school in Erath, Henry and Abbeville for over 20 years and, thereafter, relocated in San Diego, California where she taught for an additional 20 years until she retired in 1973 and returned to her beloved Vermilion Parish where she undertook a major renovation project of the old family home located in Abbeville at 307 North Main. The house today is an outstanding example of Queen Ann architectural style which has been enhanced by the beautiful gardens which surround the home. Many of the plants are native to Louisiana and were transplanted by her father, Aliface, from the family lands on Turkey Island in Vermilion Parish. Never resting on her laurels, Una continues to serve on the Vermilion Historical Society Board of Directors and is working on Volume II of “History of Vermilion Parish” which will focus not only the historical aspects of Vermilion Parish, but also upon the legal history as well as photographic history. 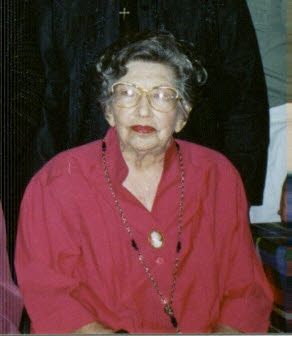 Evans continues to remain active in the following organizations: the Vermilion Parish Women’s Republican Club, of which she was the organizer (she had to change her registration from Democrat to Republican in order to serve as an officer of the organization), Delta Delta Gamma, an educational organization (of which she was named an honorary member because of her efforts in publishing the book on Vermilion Parish), St. Mary Magdalene Church, AARP, Vermilion Genealogical Society (which was formed as a result of the interest generated by the publication of the book on Vermilion Parish), the Abbeville Cultural and Historical Alliance (member of the Board of Directors), the Acadian Museum of Erath, La Famille de Beausoleil Broussard, AAUW (American Association of University Women), Vermilion Parish Tourism Commission, Attakapas Historical Association, (served as President in 2000) and Daughters of the American Revolution. As an early supporter of the effort to organize the Acadian Museum of Erath, Evans was a major contributor of historical photographs and artifacts to the Acadian Museum. In 2001, she donated her vintage Oldsmobile automobile to the museum and it is now being used to promote the museum. As a result of her marriage to Richard Edward Evans, one daughter was born, Marcia Evans and she has two children, Christopher Richard Schenck and Patricia Catherine Schenck.